Things have been slower than usual around here because I’m having fun with my family on VACATION! Things will be back to normal as usual soon since it’s almost over. But in the meantime, I’ve been interviewed!! Deborah from the Taste and Tell blog interviewed me, and you can read all about it on her post: Blogger Spotlight- RecipeBoy! Let me know what you think of my first interview! And even a kid can get interviewed… Like Me! Awww, THAT WAS A WONDERFUL INTERVIEW! It was super cute~ I bet your parents are so proud of you! Thanks so much for participating – I really do admire you for being such a devoted foodie at a young age. 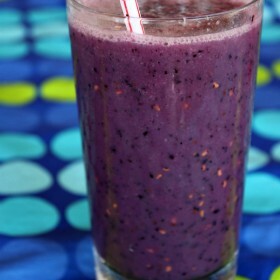 I love your blog and hope you keep it up for years to come!! Hope you are getting more sunshine than we are getting now in England!!! Rain, rain, rain……..:-) more time for baking ha ha. That was great Brooks.. you go!! hope you get to go to the pioneer womans ranch soon. I guess you have now officially been “interviewed” Deborah did a great job with the questions and your replies were interesting and informative. So proud of you. WTG Brooks! 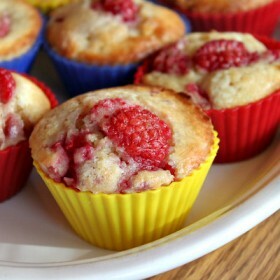 And, the raspberry muffins I made last night were amazing! CHOW! I am sorta a foodie and please make recipes with a lot of cheese! (My fave flavors are mozzerela, Mexican, and part-skim mozzerela!